One can start his own business for retailing eload at 250pesos only or for personal discount. Enjoy 1 sim load all network!!! Its not just eloading to all network (Globe, Smart,Sun,Red and TM), you can also load landline prepaids cards(PLDT,GLOBELINES,BAYANTEL), cable prepaids cards, satellite tv prepaid cards, MRT card reload to avoid hassle line on MRT stations, Pasig ferry cards reload , ONLINE gaming prepaid cards and up to 300loadable cards and more to come. You can load anywhere in the Philippines and abroad. You can reload your eload wallet anywhere in the Philippines. You can do eload business both your 1 cellphone and online loading and earn up to 8 -12% discount (retailers) 8 -14% (dealers) and enjoy override commissions on retailers. You can also earn different kinds of bonuses. 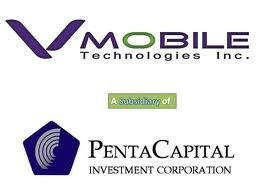 The company is now 85% own by Penta Capital Investment Corporation, a stable financing/quasi bank supporting big companies in the Philippines since 1957. Enjoy the companies stability, with own mainframe and all transactions can be seen online, No hidden agendas!!! Just contact me 0932 23 94 996 for free technical training and more infos.